Margaret K. McElderry Books, 9781442427297, 176pp. 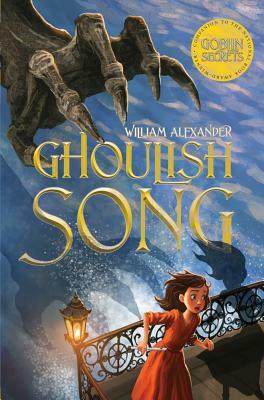 Set in the delightful and dangerous world of Goblin Secrets, Ghoulish Song is a gripping adventure laced with humor and mystery from National Book Award–winning author William Alexander. “[Alexander’s] graceful prose weaves an engaging fantasy that embraces the power of music." "With wonderful economy, Mr. Alexander conjures a vertiginous adventure shot through with humor in this clever tale." "A vivid and fast-paced read." "[Alexander's] storytelling remains compelling, and Kaile makes a likable heroine, at times admirably noble and at other times understandably frustrated and defiant."